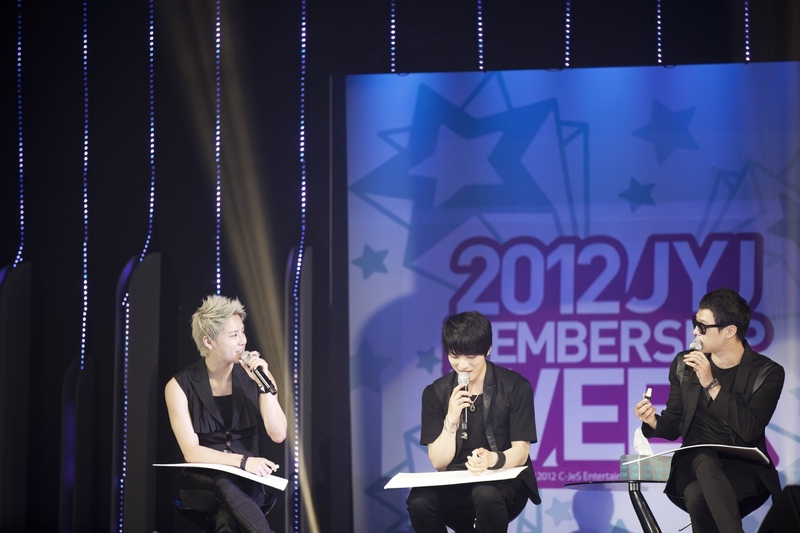 2012 JYJ Membership Week, which was held from June 28 to the July 1 at SETEC, has successfully concluded. For about four days, 22,000 Korean and Japanese members visited the exhibition, where they had time to see, feel and experience everything about JYJ with the ultramodern programs such as JYJ Collaboration Gallery, JYJ Documentary Theatre screening, and 3D facade. Also, a fan meeting, where they had time to interact with JYJ directly, was under progress during two days, 30th and 1st. On the other hand, this large-scaled Membership Week was the first fan exhibition event, and it became a hot topic because 7,024 Japanese fans entered Korea. According to the authorized person of the airport, this event made a record of the most foreigner entrance, and the tourist industry expected that the economic benefit from this Membership Week will be more than 10 billion. This article originally published at C-JeS Entertainment Official Website here.